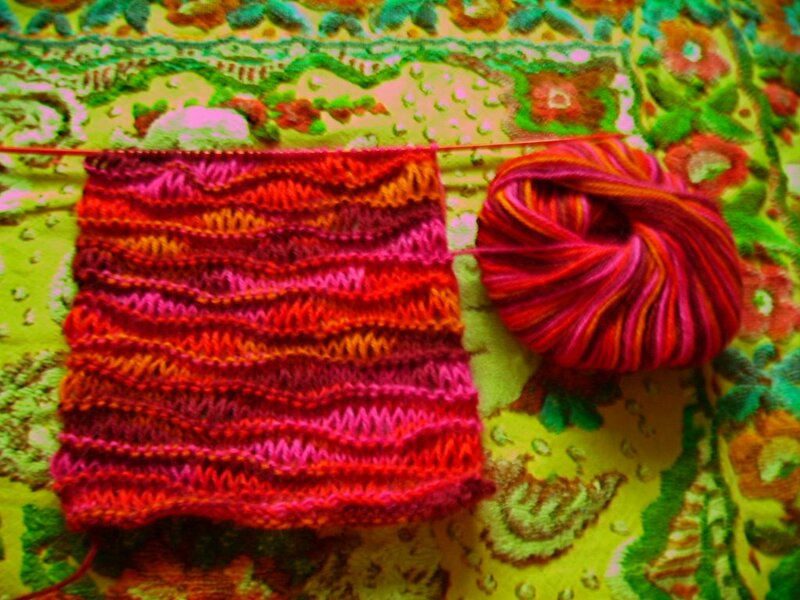 posted by Venus @ 1:03 p.m.
That enlongated stitch pattern looks so good! 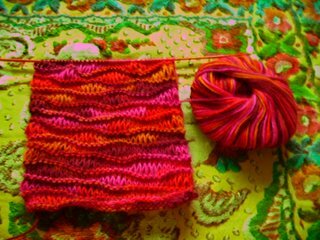 I never thought to expand that pattern into a scarf but I love the way it looks. Might be just the thing I'm looking for for some variegated yarn I have. Wow, that stitch pattern looks fantastic with that Alpaca Paint. I love the colors! They all go so well together.